← Who Is this Chap? On a recent visit to Singapore, I visited a place where sailors spent a fair bit of down time when not at work. Click this LINK and bring back some memories of Singapore. This LINK will also bring back memories for those who were chosen to serve in Singapore as part of the ANZUK Forces and later NZFORSEA. Another LINK to all that is left of the drinking holes at Sembawang. The London and Melbourn Bar are gone but the Nelson Bar appears to be going strong with HMNZS TE KAHA’s name on one of the signs. And finally a LINK to what has replaced or is replacing the village of Sembawang. I believe this is the last village which sailors will be able to relate to as Chong Pang, Yang Che Kay and Nee Soon have all been flattened and replaced with these new buildings. It took me a little bit to find the above area and this is to show you why. This is the Main Gate at Sembawang to the Naval Base. 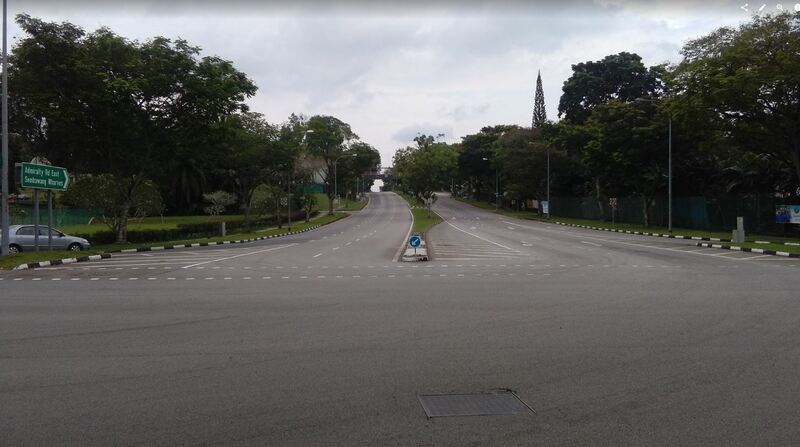 If you want to retrace your steps and walk down memory lane catch the MRT to Sembawang and get the 882 Bus which goes right past Admiralty Road on the left and the memories of many late nights and early mornings will be on the right. I was asked if I wanted the posting to Kranji W/T by the WORS at CTS where I was an instructor.. I replied I will ask my family first in all fairness to my then wife! It was probably “up there” as one of the highlights of my “illustrious” career! Just a “little bit different” from being posted to Irirangi WT! the Main Gate to Sembawang picture does not ring any bells with this bod but the one where a 6 foot 13 inch Sikh guard along with 3 other machine gun toting oppos ordered us out of the taxi ex a quiet run into S’pore while they searched same from stem to stern. Turbans and beards did nothing to disguise the look of extreme bitterness that was evident on their faces as a couple of days previously a car apparently carrying CT’s had driven through the same gate and shot dead one of their regiment .. That was in 1954.